This is the first game in the Wario Land series. 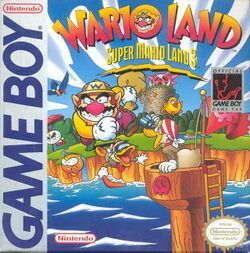 For other games in the series see the Wario Land category. Wario Land: Super Mario Land 3 is a platforming video game developed by Nintendo on the Game Boy in 1994. It is the first video game to feature Wario as both a playable character and the main character, as well as the first appearance of Captain Syrup and her Brown Sugar Pirates, a common villain of Wario's. Despite the Super Mario Land 3 subtitle, Mario has very little to do with this installment in the series. This page was last edited on 4 March 2015, at 18:24. This page has been accessed 14,605 times.